Theisen's More for Your Community Grant. 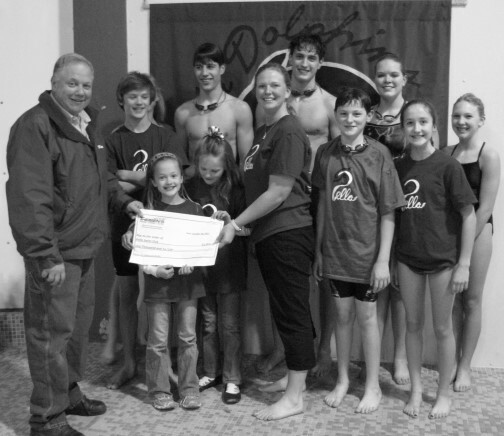 After an independent review of 165 worthy applications, we are honored to fund your request to support the "6 Lane Ropes for The Pella Outdoor Aquatic Center and Lane Rope Storage Reel." You will be contacted by phone or email very soon by our local store manager to set up the check presentation and local press coverage. We are enclosing a summary report of our 2011 awards and ask that you complete and return the enclosed report form by Dec. 28, 2012 so that we can learn about and celebrate your success. We are almost half way there and have secured funding of $1,960, only $2,200 left to raise and then we can purchase the 6 lane ropes and storage reel. Let's keep up the fundraising.